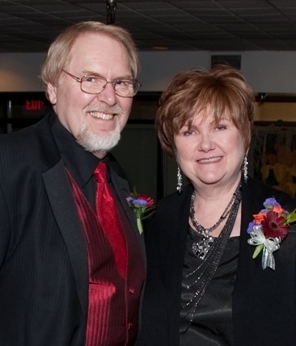 Russ and Nancy Hanson have had a life-long career in a wide range of activities in professional photography. However, the Perfect Storm has had devastating effects on their business, as it has affected most everyone in professional photography. They recently, however, have discovered the opportunities that are available in providing churches with high quality professional Church Directory services which they have now developed into a thriving business venture. The Scene Machine virtual background system plays a critical role in making their new venture work. Russ earned a degree in photography from Southern Illinois University in the early 70s. He initially worked for the South Dakota tourism department for several years before moving to Paducah Kentucky for 4 years to work with a very large general services studio there doing everything from school photography to weddings to HS seniors and commercial work. He then returned to tourism photography, this time for North Dakota, where he met his wife Nancy, a newspaper reporter and editor, writer and publisher. 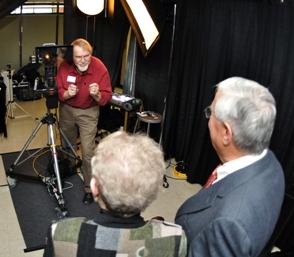 In 1984, they moved to the Fargo/Moorhead area and opened their own studio that specialized in commercial photography. In 2003, as the Perfect Storm began to destroy commercial photography, they expanded into portraits and weddings working from their main street storefront location and later from their home. Then the Storm began to seriously affect their portraits and weddings. There are 85 people advertising themselves as photographers in a community of only 200,000 plus many others who work without advertising at all. The Hansons feel fortunate that two photography friends suggested that they try church directory photography. 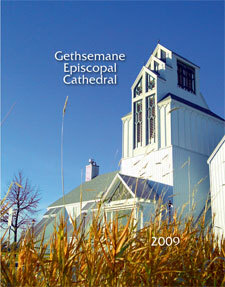 In 2009 the Hansons did three very large churches. In 2010 they are doing 6 churches, 3 of which are very large. 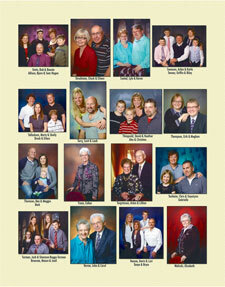 In 2010, the Hansons will have photographed over 2,000 family groups with a buy rate of between 62% and 75%. They find that what is so important in doing church directory work is that once they secure the contract, which they have found to be unbelievably easy, the church pushes the members to be photographed. Families are scheduled every 15 minutes. In regular studio work, the studio has to get every individual session, one by one. 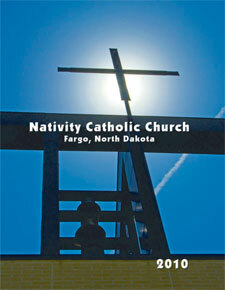 In church directory work, the church brings in hundreds of families on a pretty precise time schedule. A major reason studios are hurting today is because people don’t get around to scheduling. 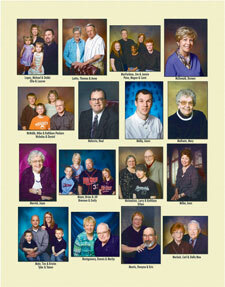 With church directory work, the photographer only has to schedule the event. The church does the rest and pushes the members to show up. Once they are photographed, the vast majority of them purchase. Russ and Nancy love not having the expense and overhead of a main street studio and not having people coming to their in home studio. There in home studio is still operational but is not used very often. They take everything to the church. They still do a few weddings and portraits. The Hansons have experimented with selling all the images on a disk. For those who want it, we sell the disk with a copyright release for $135.00. There is essentially no cost of goods so it represents one of our highest profit items. Gradually, the Hansons are learning the tricks of the trade. For example, they will include photos that the members bring in but they charge $20 and they do not get a directory. Some have tried to bring in photos from previous directories but the Hansons refuse to use them because of copyright laws. Their biggest problem is getting the church members to follow their directions on what to wear and what not to wear. The Hansons are continually working on various ways to push members to dress appropriately because when they dress badly, they don’t buy much if anything. The Hansons are thrilled with where their church directory business is going. They are now even turning down some churches because they just don’t have the time. They photograph an average of 22 families a day and although they feel they work hard, they do not have the negative psychological affects of not knowing when the next sitting is coming in and having to work really hard to sell large prints. Church directory work is for them a steady income doing what they know best and love – photography and they enjoy their contact with so many different people. The Hansons clearly show how virtual backgrounds can be easily used entirely on location and how it helps to secure contracts and get good solid sales averages. They say they would not want to work without their Scene Machine. It would just be much too much work and they wouldn’t have anything special that the other directory companies do not have.